Here are some of my favorite things to make having a toddler easier! -Munchkin 360 Miracle Cup- Norah has had the more traditional sippy cup (Munchkin Click Lock Bite Proof Sippy Cup) for a long time, but as she got older she started to bite on the tip more (like she would turn it sideways between her molars and bite on it when she wasn't actually drinking), and that made the slits bigger, so it wasn't leakproof anymore. 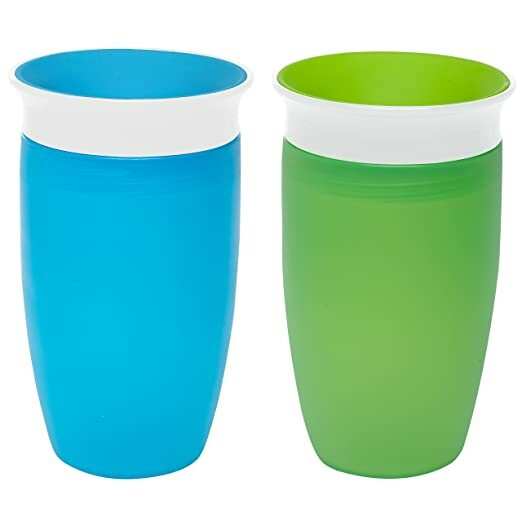 These cups are a great solution! I (mostly) love them. There are three parts (the cup, white part that screws on that has tiny holes across the rim, and the plastic insert that snaps onto the white lid.) The liquid comes out anywhere around the rim, hence the 360 name, and it senses the pressure from your mouth/teeth on it to release. It's a great transition in between a sippy cup and real cup, and Norah can't bite on the tip anymore. It's easy to clean. Though I do love it, it's not absolutely perfect and there are ways to make it leak, like if she drops it some splatters out, or sometimes little milk bubbles pop out around the rim and drip down, but that doesn't happen too often. Overall it's great! -Petunia Pickle Bottom Altogether Tote in Quartz- This is a pricey item, but Kley got it for me for Mother's Day and I love it! I was wanting a bag that was still a diaper bag but didn't look like one. I looked into other cheaper options that were just big purses, but couldn't find one I liked or that would do the job. (Like I ordered one that I thought looked good online but then it had fuzzy felt lining on the inside that would not be able to be cleaned well, which doesn't work with kids!) I love this because it has the two different straps (so I can still put the big one over the stroller), it's easy to wipe down and keep clean, and it has lots of pockets on the inside to keep things organized, which is something non-diaper bags don't have. 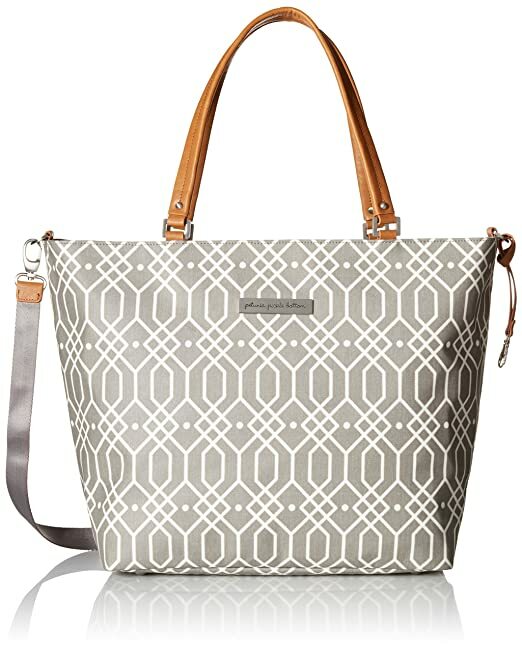 And I love that it doesn't look like a diaper bag! My only slight fault with it is that it's a little large, so it's good for traveling or for whenever we have more kids. They do have a mini tote version that I'd like to get too! -Crystal Light Plastic Storage Container and BCP 4-pack Mesh Travel Bags- The crystal light containers are pretty silly, but they are amazing for storage! They are perfect for throwing in the diaper bag. My favorite things to put in them are crayons and hot wheels cars, but there's probably tons of things that would fit in there. 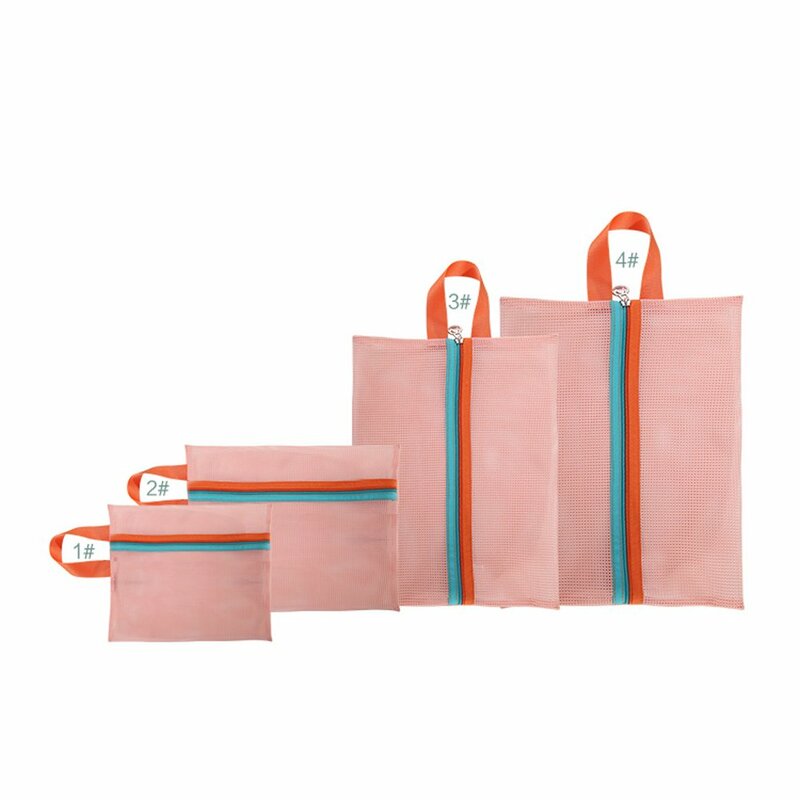 I also ordered these mesh travel bags to try to keep more floating toys more organized when traveling and in the diaper bag. They are really nice and I like them, I only wish they were smaller, which was my own fault for not measuring out how big they would be first. They are good quality. -Bumpkins Bibs- Norah got these as a baby present, and they are now my favorite bibs ever. They are waterproof, which is nice because so many of her "younger" bibs were just fabric, yet they are nice and thin and so easy to just throw in the wash. 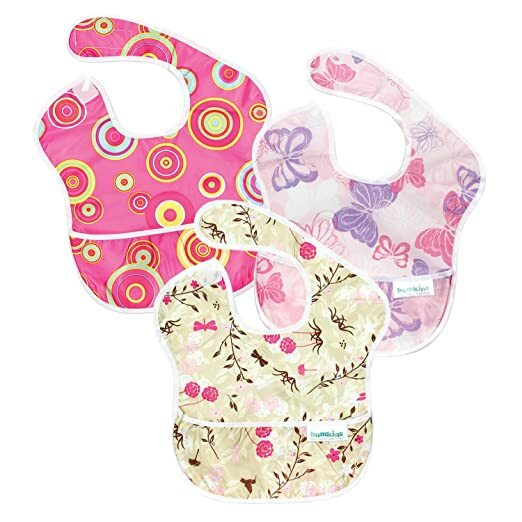 They are bigger than the infant bibs too, so they are perfect for a toddler. And the pocket on the bottom catches a surprising amount of food! I want to get more. 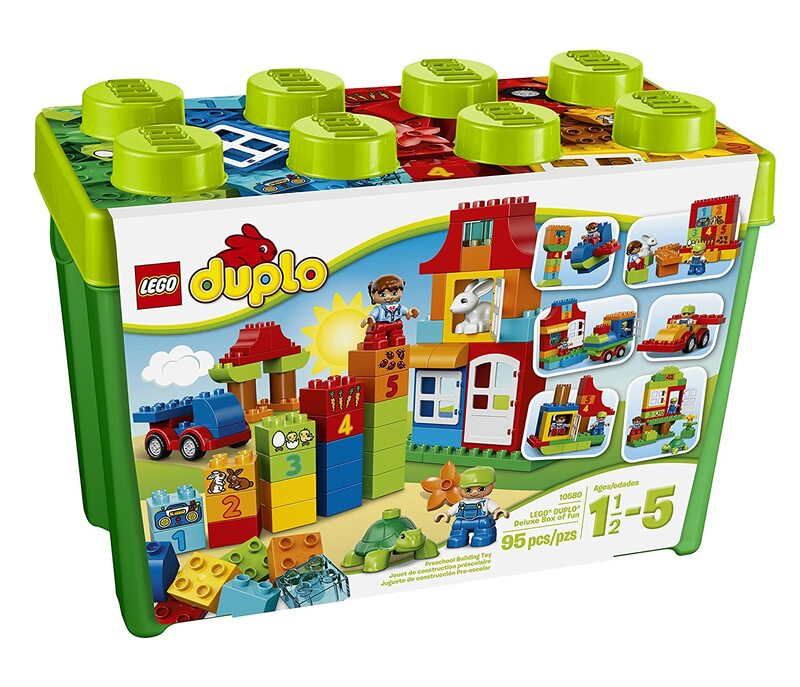 -I also just have to throw out colors and legos, because those are Norah's favorite things right now! I absolutely love that she is starting to enjoy coloring, and she loves building towers! It's so fun to watch her have an idea and actually try to create it. 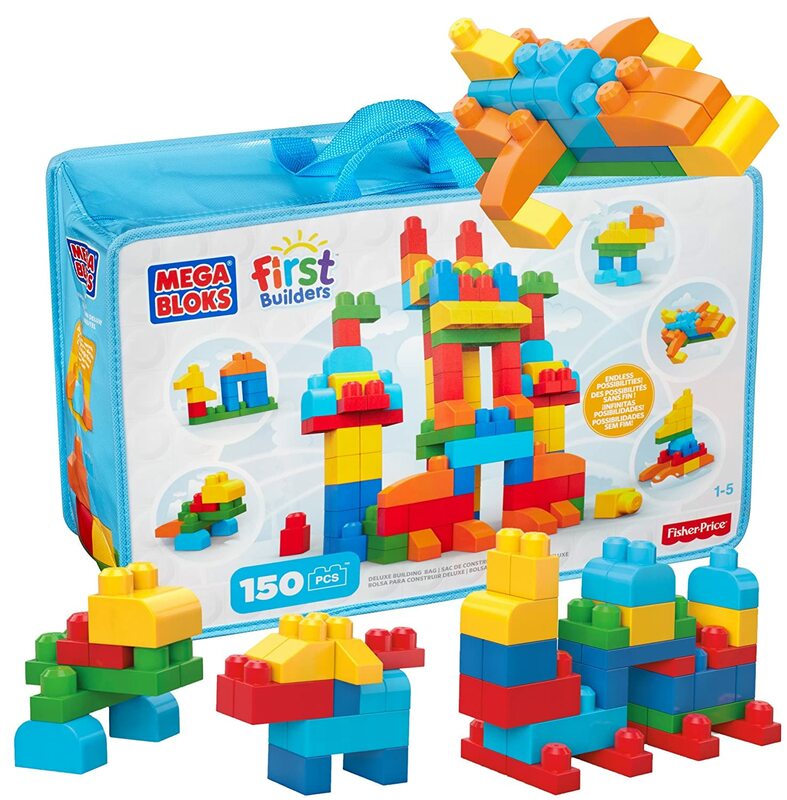 Norah has these Mega Bloks and this Lego set. 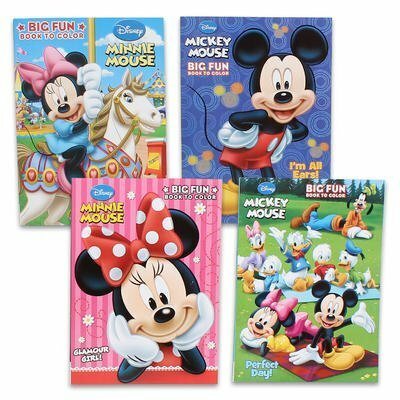 She also has these Disney coloring books, but she probably actually prefers to just color on plain paper for now!